​Jack Moline is President of Interfaith Alliance. Interfaith Alliance is a First Amendment advocacy organization seeking common ground among people of faith and adherents of philosophies in protecting faith and freedom. A non-partisan group, it brings together members of 75 different faith communities for mutual support and understanding and in opposition to those who would restrict either the establishment clause or the free exercise clause of the Constitution. A native of Chicago, he holds the title of Rabbi Emeritus of Agudas Achim Congregation in Alexandria, Virginia, where he served in the pulpit for 27 years. Rabbi Moline is an adjunct faculty member of the Jewish Theological Seminary and Virginia Theological Seminary..
A graduate of Northwestern University (School of Communications, 1974), he served as Director of Youth Activities for the Seaboard Region of United Synagogue of America through 1976. 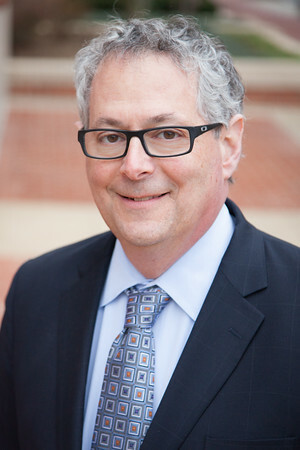 After a year as interim director of Hillel at the University of Virginia, he entered Rabbinical School, graduating from the Jewish Theological Seminary in 1982. and awarded an honorary doctorate in 2012. His first two years of seminary were spent at the University of Judaism (now the American Jewish University) in Los Angeles. During this time he held part-time positions at Camp Ramah as Winter Program Director, Temple Ramat Zion as Rabbinic Intern, and Universal Studios as Tour Guide (with a specialty in Hebrew language tours). From 1980-1982, Rabbi Moline completed his studies at the New York campus of JTS and served Congregation B'nai Israel in Danbury, Connecticut as student rabbi. He became full-time rabbi and part-time Jewish chaplain at the Federal Correctional Institution there upon ordination. In 1987, he became rabbi of Agudas Achim Congregation of Northern Virginia, in Alexandria. He has served as chair of the Interfaith Relations Committee of the Jewish Council for Public Affairs, Chair of the Board of Interfaith Alliance, Vice-president of the Washington-Baltimore Rabbinical Assembly and board member of Faith and Politics Institute. He serves on the advisory boards of Clergy Beyond Borders and Operation Understanding DC. He has served as President of the Washington Board of Rabbis and is past chair of the Alexandria Interfaith Association. He also served as the first Director of Public Policy for the Rabbinical Assembly and was Executive Director of the National Jewish Democratic Council. He is a member of Rabbis Without Borders. Rabbi Moline also has advised and written for many public figures, including President Bill Clinton, for whom he composed much of his memorable eulogy for PM Yitzhak Rabin. He was invited to offer a blessing to the Obama and Biden families before the 2013 Inauguration. Rabbi Moline has authored two books and has contributed to many publications, both print and web-based. He is a popular speaker, featured by many organizations, on radio and television broadcasts and in Christian churches, Muslim societies, synagogues and Jewish Community Centers across the United States and Canada. Rabbi Moline is a long-suffering and recently redeemed supporter of the Chicago Cubs. He prefers to be best known as husband, father, and grandfather.